This April, ACI collaborated with the Middlesex County Center for Empowerment in hosting two events in observance of Sexual Assault Awareness Month. 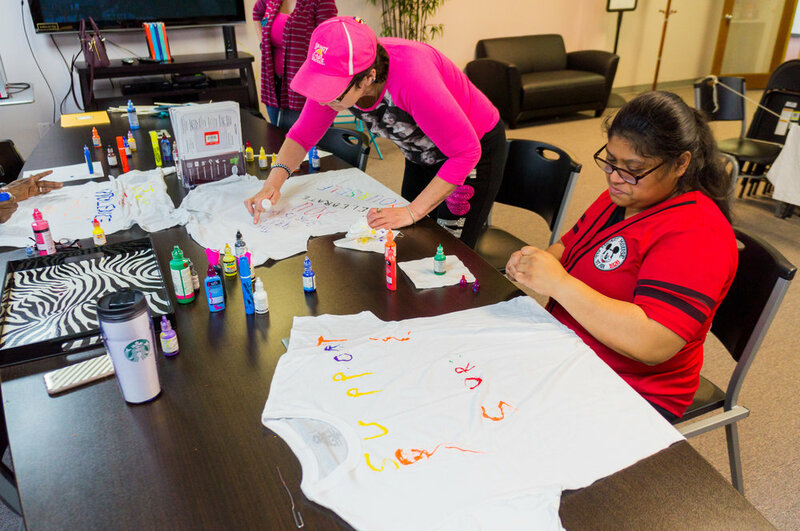 On April 12th, ACI hosted the Clothesline Project during which ACI staff, volunteers and community members came together to decorate sexual violence awareness shirts to be hung in the conference room throughout the month of April. On April 26th, ACI hosted Denim Day to create denim crafts and encourage community members to wear denim in support of sexual violence survivors. Posted on May 1, 2017 by Brian Mazzarella and filed under Advocacy.